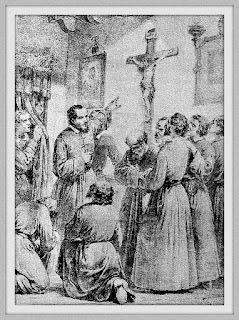 Saint Anthony Mary Zaccaria: An Exhortation Given by Anthony Mary Zaccaria October 4, 1534, feast of St. Francis of Assisi. 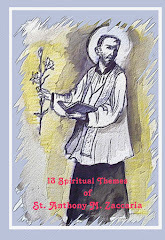 An Exhortation Given by Anthony Mary Zaccaria October 4, 1534, feast of St. Francis of Assisi. 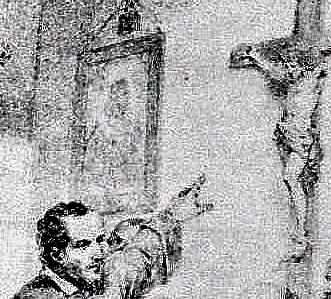 Anthony Mary exhorts his companions 288 in the wake of bitter accusations, threats, and persecutions from evil and worldly people. 1. 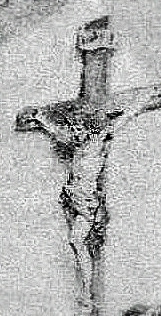 Our Persecutions: Pre-announced by Christ. We are fools for Christ's sake,” 289 said St. Paul, our most holy guide and patron, of himself, of the other Apostles, and of those who profess the Christian and apostolic faith. But there is no reason to be surprised or afraid, my dear brothers, if we are troubled by the snares and deceits of the devil, or by the open attacks and insults of people with minds set on earthly things.290 For “a disciple is not above his teacher, nor a servant above his master. If they persecuted me”—said our Teacher and Lord—“they will persecute you.”291 The world cannot help hating you; “if you were of the world, the world would love its own.”292 “Blessed are you when men revile you and persecute you and utter all kinds of evil against you [falsely] on account of me. Rejoice and be glad, for your reward is great in heaven.”293 As you well know, our Savior and heavenly Teacher foretold that similar things would happen to us, so that we would not be surprised as if they were new and unexpected. He confirmed it by His example, so that we would not fear to experience them as being unbearable. However, those who persecute us are hurting themselves, because they provoke God's wrath against themselves. At the same time they benefit us, because they enhance our crown of eternal glory. We, therefore, instead of hating and detesting them, have to pity them and love them. Indeed, we have to pray for them 294 and, as our Apostle warns us, we should not allow evil to control us but instead we should conquer it with good and heap on their heads acts of mercy as so many burning coals of charity, 295 so that they, seeing our patience and confounded in their iniquity, may return to a better life and be inflamed with God's love. Consider your own calling, my dear brothers. If we examine it carefully, we would easily recognize that this is what it demands of us. As we have started to follow, though from afar, in the footsteps of the Holy Apostles and of the other Knights of Christ, so let us not refuse to share in their suffering; bearing these trials which are much lighter than theirs. 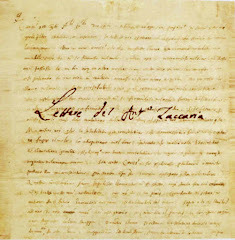 As a result, just as in times past, the Catholic Church, despite the hardest persecutions she had to endure, did not diminish in number, but rather increased more and more; so this little part of her body will not be weakened by outrages, but will increase if we endure; and while it is subjected to hardships, it will grow stronger. Let us look, among others, at St. Francis whose feast day we are celebrating, “so that we may not loathe imitating that which we delight in celebrating.”302 In him, in fact, as if in a mirror, there shine the most splendid example of Christian patience, profound humility, and, above all, the most ardent charity. Oh, how ready was he to accept reproaches! How strong in despising himself and the world! How firm when offended, how joyous when scorned! How prepared at enduring the most painful things for the love of Christ! He welcomed all kinds of abuses as the most precious jewels sent him from heaven; to him offenses were far more precious than praises; suffering for Christ's sake was more desirable than being happy in the world. Now he sits the higher and more glorious in heaven, the humbler and more despicable he was to his own eyes and the eyes of others while on earth. 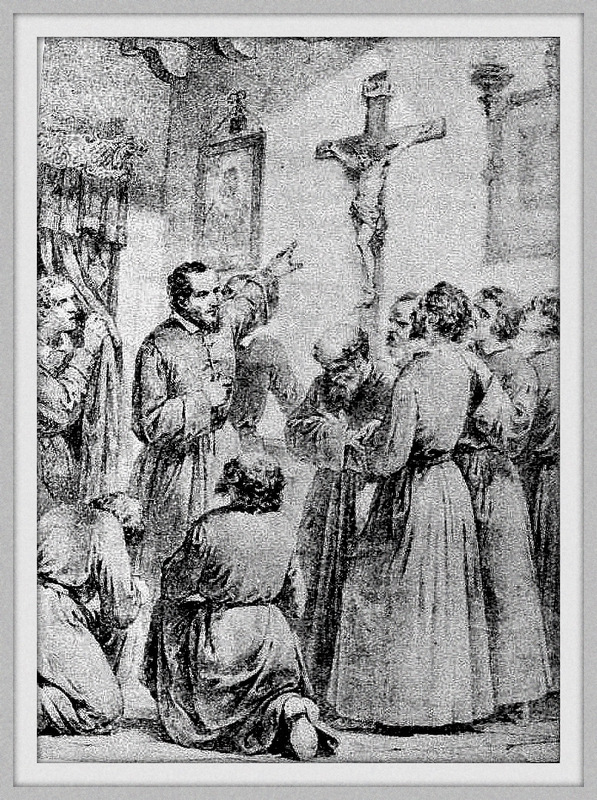 Let us then, beloved brothers, imitate this saint, and let it not be a burden for us to follow in our own life and conduct the one we venerate with religious devotion and honor with praises. Therefore, since we have chosen such an Apostle as guide and father and have committed ourselves to follow him, let us strive to put into practice his doctrine and his example. It would not be proper that in the ranks of such a captain there should be soldiers who are cowards and traitors, or that the children of such a great father should be degenerate. 288 One of these religious, Fr. 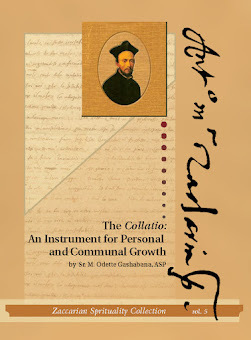 Battista Soresina (1512-1601) who had treasured this famous speech in his heart, and could later on repeat it almost word for word, did enact it to our second–generation Fathers, among them Fr. Giovanni Antonio Gabuzio (1551-1627), our first official historian, who paraphrased it in elegant Latin in his History of the Clerics Regular of St. Paul (Rome: Salviucci, 1852) 52-56.